The Ascot is back! There are many reasons why this slipper is so popular. 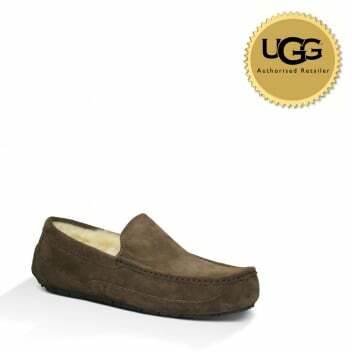 With its shearling lining, water resistant suede outer layer, and sturdy sole, they are cosy comfy and practical. What elevates this slipper is its loafer shape, meaning that it can easily be worn outside as a shoe. You will certainly be dapper with these slippers. *This style is only available in half sizes. If you measure a full size, we recommend ordering a size up. For example, if you are a UK size 5, then please order a UK size 5.5.